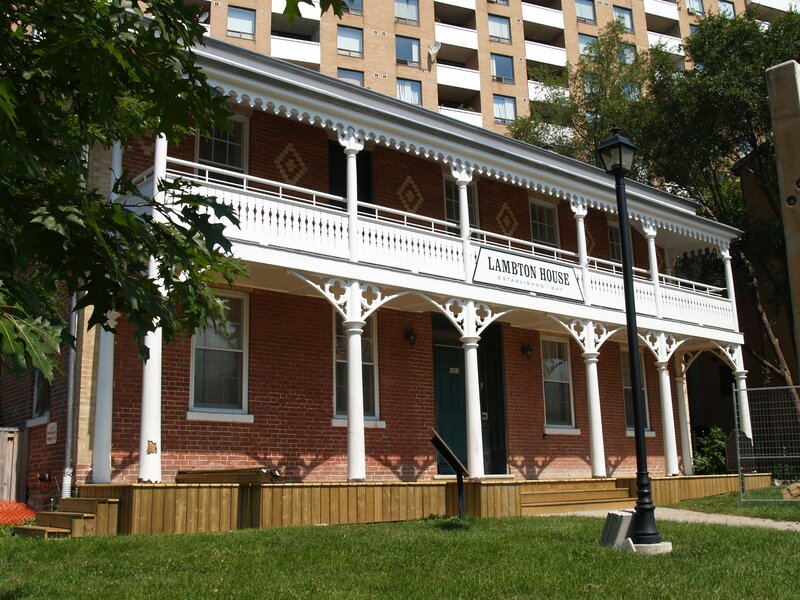 Lambton House is a historic tavern/house located on the east bank of the Humber River on Old Dundas Street. There had been a tavern on the site since the 1820s. It was renamed Lambton House by the Howland family in 1847. The current brick structure opened in 1860 and was most likely designed and built by William Tyrrell of Weston. The building was closed in 1989 with the purchase of the property for development of an apartment building. Through negotiations, it was reacquired by the City of York and is currently run by Heritage York. The building was designated an historic site in 1985 and was the focus for the bi-centennial celebrations in 1993. The completion of restoration has allowed the Lambton House to once again become a hub of social activity. Below is a short history of the building and the surrounding village of Lambton Mills. We offer a range of events both on-site and within the Lambton Mills area. These include Community Pub Nights, History Nights, heritage walks, etc. Please click here to visit our Event Information Page. We utilize both the Humber Room and Howland Room to host changing exhibits/displays related to heritage talks and significant events. Please click here to visit our Exhibits Information Page. Your membership will support Heritage York in preserving and promoting the rich history of Lambton House, the last remaining public landmark of Lambton Mills and the Humber River Valley. Please click here to visit our Membership Information Page. Lambton House has two significant rooms available for rent on the main floor. Both are wheelchair accessible with a main floor accessible washroom. Please click here to visit our Rental Information Page. Two plaques are located at Lambton House - one Federal, one Municipal. Heritage York also installed a plaque on the old Davenport Trail. Please click here to visit our Plaque Information Page.